Edit design Knit sweater carnival , or create your design from scratch. The carnival sweater you could not knit yourself. 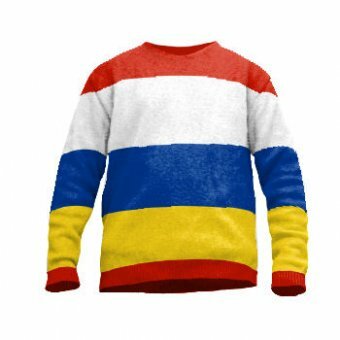 Even Etsy displayed no matches for your search of a sweater without print, but with custom knitted design on front, back and sleeve. Choose your colors and put text, cliparts or custom artwork on the sweater of your choice. Design online at Wildemasche knitting service and order online.